Chris has been a part of the Better Body Group team since our humble beginnings in the spare room of a lawnmower shop (a lot has changed!). Over the past 10 years he has conducted over 11000 personal training sessions and classes making him one of the UK’s experienced trainers. 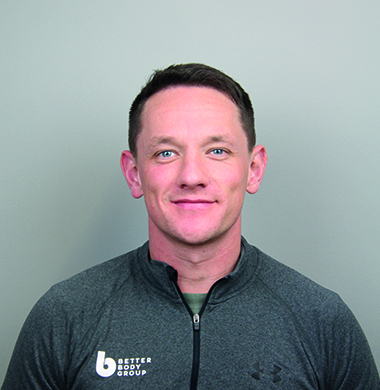 Chris is the Co-Owner of the Better Body Group and when he is not helping you to achieve your weight loss goals he is striving to expand the better body group into more world class fitness facilities. 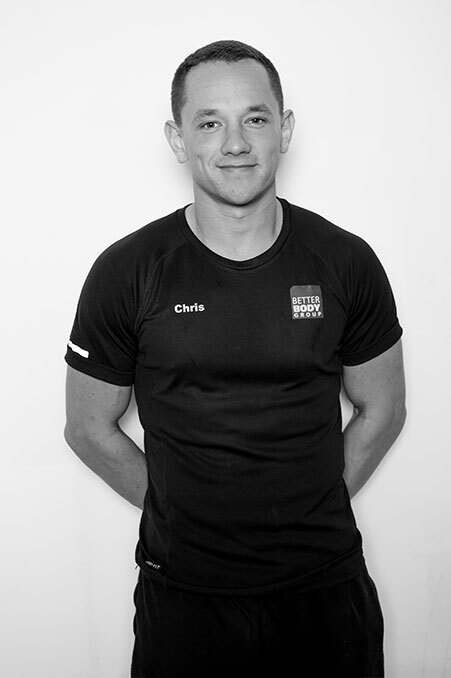 Back in 2007 Chris completed his degree in Sport and Exercise Science at Sheffield University and went on to qualify as a National strength and conditioning coach, gaining his CSCS with the NSCA. Chris’s work has since been featured in the likes of the Daily Telegraph, Daily Express, Daily Mirror, Evening Standard, BBC, BBC radio as well as a contributing to a range of national health and fitness magazines. Chris is also a licensed Thai Boxer, and spends most of his spare time training Muay Thai, and Krav Maga, hitting pads and generally getting beaten up in the ring! Having spent the last 9 years building BBG alongside business partner Jason Crow, the award winning pair are now concentrating on building new centres and training courses across the UK, providing opportunities for trainers that fit the BBG mould. 10 tips to shape up for Summer!